David Walsh was a 71-year-old retiree with a plan, if you believe the FBI. At an age when many of his contemporaries are winding down, Walsh hatched a scheme to make big bucks by pulling off a bunch of small bank robberies, federal authorities say. Like many big ideas, it looked good on paper. But that's about it. The FBI says that on July 13th, Walsh met with a man at a retirement center in Ravenswood. Walsh ran the bank robbery idea past him. He showed the other man a bag containing a gun, a clear mask, and gloves. Walsh tossed out the “small job” angle. He wasn’t looking to pull off any big jobs, he said. The other man passed on Walsh’s idea. The U.S. Bank where Walsh allegedly pulled off his first (and last) bank job. 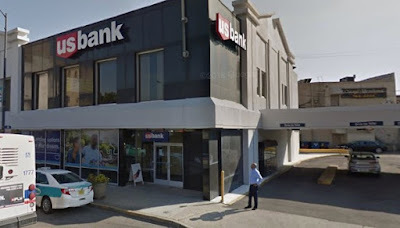 According to a federal complaint: The next day, Walsh put on a clear plastic mask, stuck a gun in his pants, and walked toward the U.S. Bank branch at 4725 North Western Avenue in Lincoln Square. A witness who was sitting in a parked car watched as Walsh tried to walk backward into the bank with his umbrella fully extended. Walsh bent down and placed a rubber doorstop under the bank’s front door to keep it from closing. Then, he walked inside. After displaying a gun and threatening three workers, Walsh stuffed about $3,700 cash into his shirt, and scurried away, the FBI said. He ran out the door. In a nearby alley, surveillance cameras were rolling as he removed his mask and gloves and changed into new clothes. He then put his umbrella back up and walked to the Western Brown Line station where he used a Ventra card issued in his own name to board the train, according to an FBI affidavit. 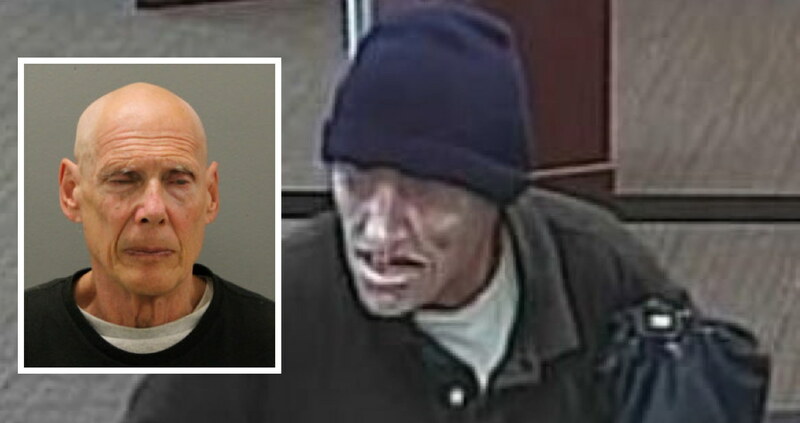 Sometime after the robbery, the man who met with Walsh at the retirement center contacted the FBI. The Bureau says the man previously made money by working as an undercover informant, but they didn’t pay him this time. On July 20th, Walsh met the informant at the retirement home again and asked him for a ride to “get quick money by making quick grabs,” the FBI says. The informant declined Walsh's invitation to get involved. At a dead end, Walsh said he might have to buy his own car. According to state records, Walsh was issued a driver’s permit later the same day. Finally, last Monday, the FBI’s informant agreed to give Walsh a ride. “I have a place in mind,” Walsh said,”to get quick cash.” Walsh promised to pay for the gas. The next morning, FBI agents staked out the retirement center and then followed the informant and Walsh as they traveled around a bank in the 4900 block of North Milwaukee. The informant pulled into a parking lot where Walsh allegedly put on a second layer of clothing and got back into the car. Agents watched as Walsh reportedly raised and lowered a clear mask to his face repeatedly. That’s when the FBI put an end to Walsh’s retirement plan. He was arrested. Agents said a search of Walsh turned up a mask, watch, and clothing that are identical to items worn by the Lincoln Square bank robber. Tucked into Walsh’s waistband was a large revolver. In his front pants pocket? Two rubber door stops. A federal magistrate has ordered Walsh held without bail.